It’s good to be back with you. Thanks to the hard work of many of you, there is an excitement around here about our upcoming 40th Anniversary. It’s something to be celebrated especially as we look forward into where God is leading us as a congregation as we move toward our golden anniversary and beyond. 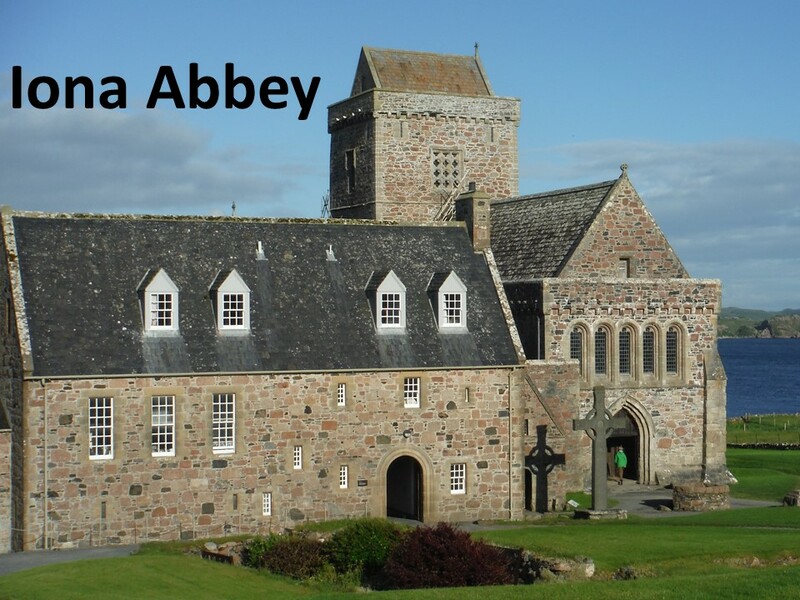 To put this in perspective, the last two Lord’s Day I have worship in Scotland at sites upon which there have been a Christian presence since the sixth century—nearly 1500 years! 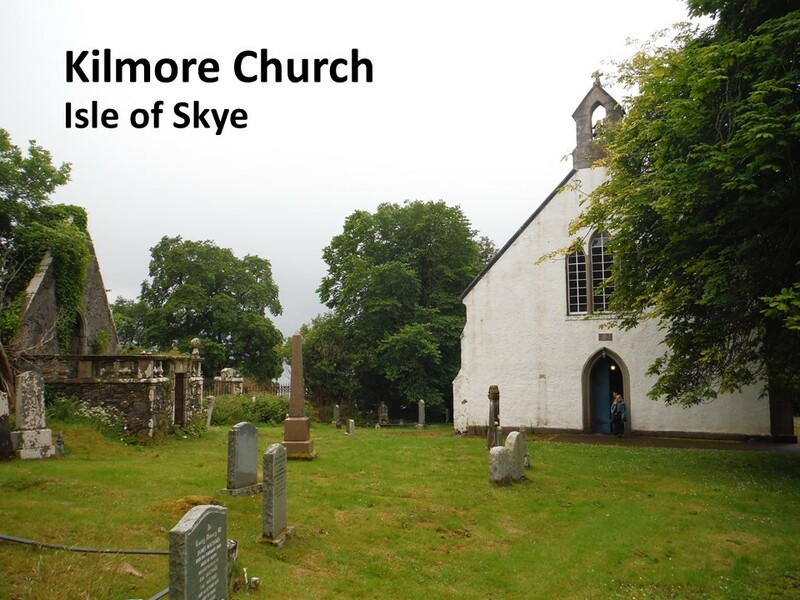 One was the Abbey in Iona and the other was Kilmore Church on the Isle of Skye. Such Christian presence remind us there will be good days and bad. After all, these were sites that had been plundered by Vikings. They’d faced other challenges, yet they continued to worship our Eternal God, whose faithfulness is unending. Another one of the many religious sites I visited while away still has a few centuries to go to make it to the 1500th year mark. St. Cultbert’s Parish Church in Edinburgh has a mere 1200 year history. It’s not as well-known as St. Giles, the Cathedral, but the church is actually much older. If you’re in the city, you can find the church at the western foot of hill upon which Edinburgh Castle sits. Sadly, the church wasn’t open the day I was there, but I enjoyed my time loitering around the outside of the building and graveyard. I was lead to do more research and realized he must have been accomplished. After all, he preached at Sir Walter Scott’s funeral. 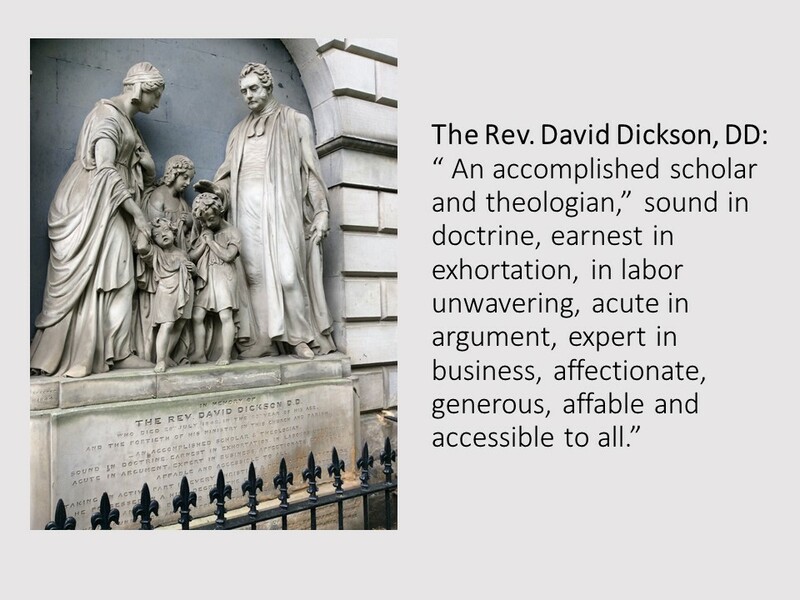 He also was known for his work amongst the Edinburgh poor. We may never earn or receive the accolades of Reverend Dickson, but hopefully others will see goodness in us, just as Dickson’s congregation saw such goodness in him. Such praise should not make us prideful nor should it be lauded upon us, but upon our Lord who forgives us and teaches us how to live lives that are gentle and humble, lives in which we strive for holiness. That’s what the book of James is all about. How do we live the Christian life? How do we strive to be more Christ-like? To be more holy? We’re in the fourth chapter today as we continue to work our way through this short book. Three weeks ago, when I last preached here, James addressed his concerns with how Christians use language and words. Now he addresses the motives behind our actions. He’s pretty tough with his audience, for he knows they (and we) are often too willing to embrace the cultural standards of this world instead of the standards set by God. This is my sixth sermon on this book. I have two more coming. Let’s listen to Scripture and see what God’s Spirit has to say to us this morning. 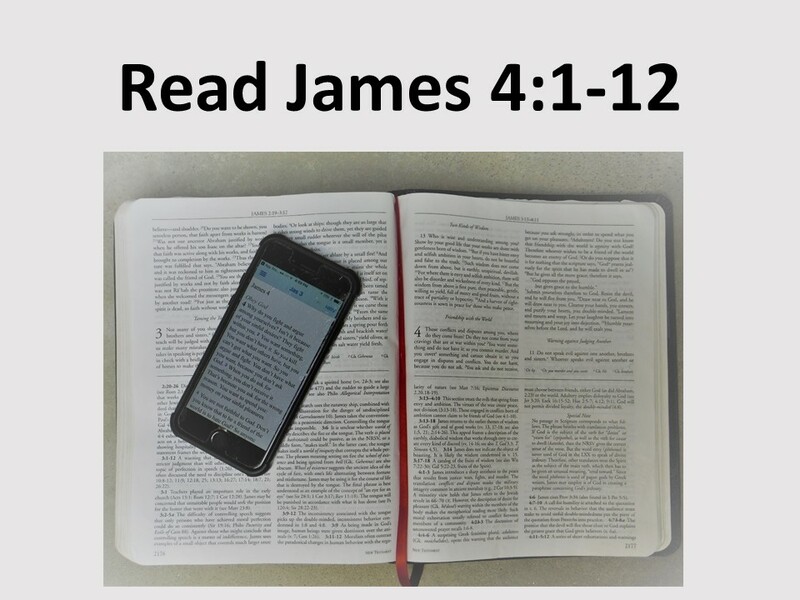 Read James 4:1-12. The New Testament Church was far from perfect, as we see over and over again in the Epistles. I want us to be a church that struggles to be more Christ-like, but as we read the Scriptures, we see that’s nothing new. It’s always been a struggle. Johnathan Swift, the patron saint of the sarcastic, once observed, “We have just enough religion to make us hate one another, but not enough to make us love one another.” We need to work on this! Covetousness and pride are not only sin, according to James, they are sources of conflict. When we think too much of ourselves, or think too much of what others have, we fuel an internal conflict that often erupts in inappropriate external behaviors. James is writing to a troubled church. It’s a church that emphasizes God’s grace so much that they forget about the law. Disregarding the law is problematic. For you see, God intends his law be boundaries within which we can enjoy our lives to the fullness. Within these broad boundaries, as summarized in the 10 commandments, we can live and enjoy life as God intends. But when we move outside these boundaries, we run into trouble. Not only do we break our relationship with God, we damage relationships with others. It’s important we consider the results of our sin. And sin is not always overt—such as stealing, lying, killing or adultery. Just as dangerous are the more hidden sins: coveting that which we don’t have, or taking excessive pride in that which we do have. These are the kind of sin James is driving at in these verses. It’s the desire for physical pleasures for our own self-gratification along with those desires for power and honor that drive us to do things that are unbecoming of our calling as a follower of Jesus. According to James, quarreling, bickering and fighting are symptomatic signs of an inner struggle within our hearts. 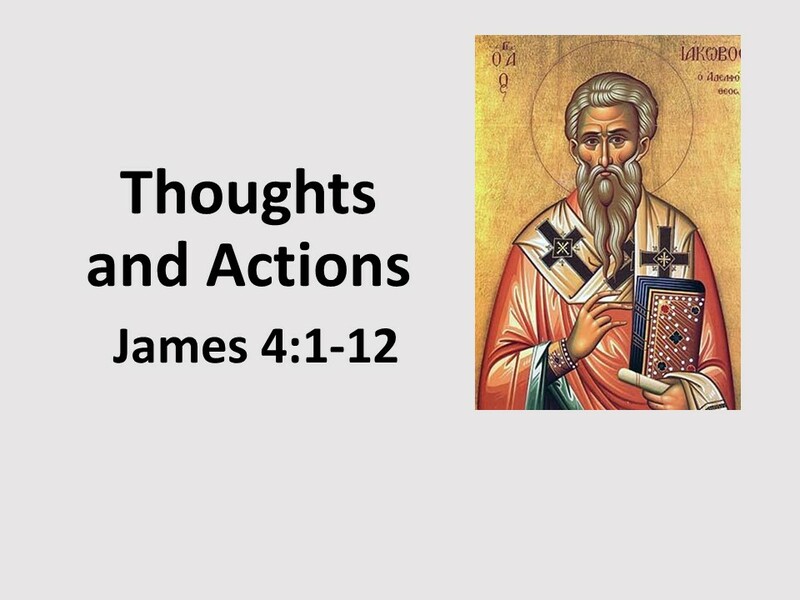 As with Jesus in the Sermon of the Mount, James calls for a change of heart, a heart transplant so to speak, which will remove the source of our inner conflicts and allow us to live more peacefully with one another. As I’ve said, according to James, sin is not just an observable action; it also resides in our thoughts and in the motives behind our actions. We have to examine ourselves, our motives, and acknowledge to God and ourselves the darkness that resides inside. Barring this, we’ll find ourselves in constant struggles and disputes and be unable to enjoy our lives and our salvation as God intends. James is aware of these internal struggles. We want something and commit murder. James is not talking only about capital murder, the actual taking of a life. That may occasionally happen, but he’s referring to how we go about destroying another person, much in the same way Jesus links murder and rage in the Sermon on the Mount. We can, through our actions and words, do great harm to another soul, even though we never set out to physically kill them. This is why James warns us to examine our motives. He also calls those who struggle in this way adulterers. Again, he’s not referring just to those who run out on their spouse, although that may be the case at times. He’s mainly referring to those who run away from God and embrace the standards of the world. In the Hebrew Scriptures, God often uses adultery and sexual infidelity as examples when he challenges idolaters—when he indicts those who worship false gods. As Christians, we should trust God, revealed through Jesus Christ. We should experience a certain level of contentment that assures us that whatever happens, God will be with us and will take care of us. Such a life will be able to resist the temptation to chase after other idols that are present in our world. James is telling us to clean up our houses and remove any idols that might tempt us to abandon our trust in God and to place it in something less. First of all, we need to remove those temptations to go after things that are harmful… But the problem run even deeper. Our idols might not be, in and of themselves, bad. God created and loves the world, we’re told. This is a good creation in which we find ourselves and we should take delight in it. But our ultimate love is not to this creation, as wonderful as it is, but to the one who created it. We’re to love the Creator. Our allegiance, our heart, belongs first and foremost to God. Beginning with verse 7, James renews his call for us to submit to God and to resist the lures of the world and of the evil one. He calls for honest confession, a willingness to cleanse and to humble ourselves before God. Now look at verse 11. After having called his readers murderers and adulterers and insinuating other bad things, we see he’s not giving up on them. In verse 11, he returns to calling them brothers and sisters. As one commentator notes, “Despite his strong rhetoric, he acknowledges them as his siblings in the Lord.” Therefore, they too, should acknowledge one another within the faith, as he begins to give advice about how we’re to relate to those within God’s covenant. He reminds them, and us, that we’re not the judge. That’s God’s job. And we can be thankful for God is going to be a lot more gracious than we often are with one another. 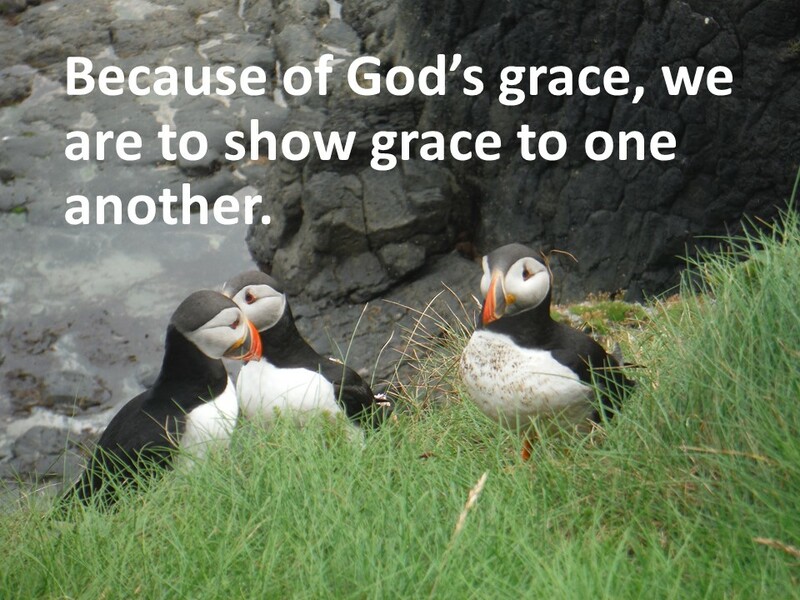 In fact, it is because of God’s grace that we should show such grace to one another. Do we? That’s a question we each must ask ourselves. Amen. This is my title for Swift, an English author, theologian and parish minister. As far as I know, Swift was never officially given such a title. Barbara Brown Taylor, An Altar in the World (New York: HarperCollins, 2009), 99. Dan G. McCartney, James: Baker Exegetical Commentary on the New Testament (Grand Rapids, MI: Baker, 2009), 2007.